Port aft quarter, including engine exhausts, ECM bulges and bumps on the fail cone, some sense of the main gear and main gear doors. 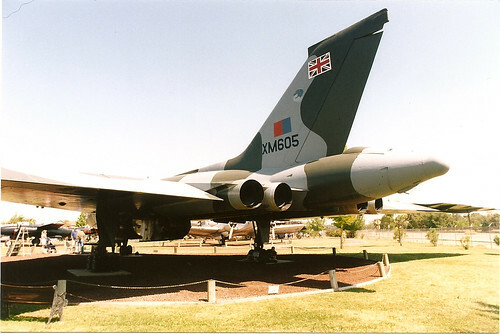 RAF AVRO Vulcan B Mk 2, Castle Air Museum, Atwater, CA, formerly Castle AFB. 1998. This plane is on loan from the RAF.